Fun food play throughout the day! Includes Breakfast, Lunch and Dinner baskets. 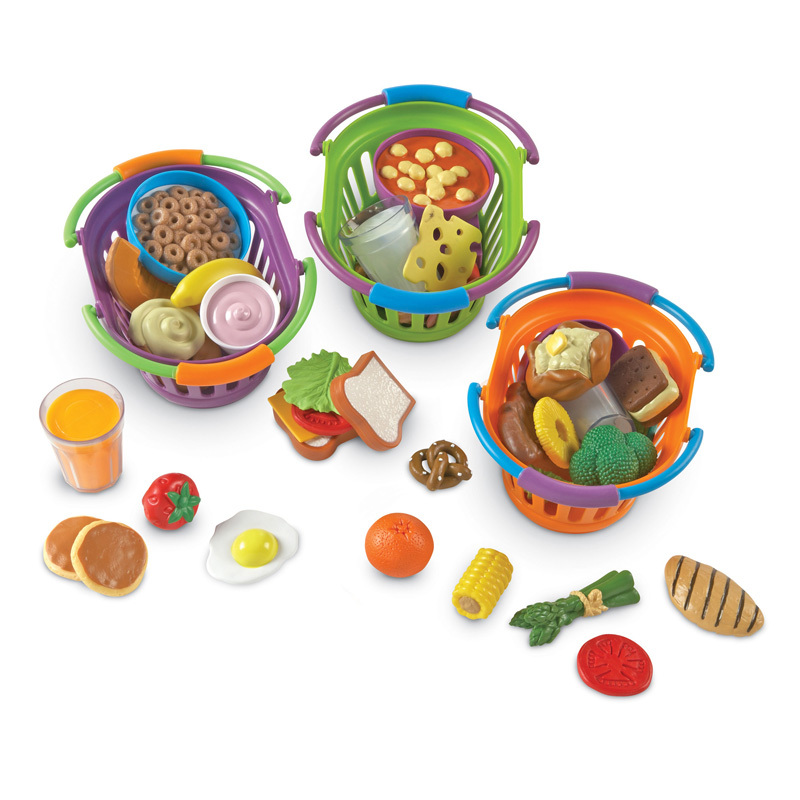 Each meal includes 16—18 nutritious food items made of soft, durable plastic sprouting a contemporary, spunky look! Pieces store in colorful, oval baskets measuring approximately 8.5"L x 7"W x 4"H.